Tell us a bit about yourself. When and how did you find out about Brazilian Jiu-Jitsu? My name is Robert and I run the BJJ Akademie in Berlin, Germany. I found out about Brazilian Jiu-Jitsu while I was at college in the United States. I started pretty much at the Gracie Academy. I was thinking about self-defense and it seemed like the right place for the journey. That happened when I was 22-23. Where did you train? Which is your favorite place you have been to? I started out in Torrance, California. Then, I went back to Berlin and joined the Alliance Berlin team under the head coach Ulf Ehlert where I also met most of my training partners from today. We trained about two or three years in Berlin. During this time, I spent some time travelling in the summer at the Renzo Gracie Academy in New York. I think that I went there three times and each time I stayed for a month. I also had a chance to meet John Danaher. That academy was a big influence for me. When we came back, our professor Ulf Ehlert left the academy and we had to find some mat space. At this time, I decided to spend some vacation time in Brazil and it was there when I decided to open my own academy because the group in Berlin was renting that space and we didn’t have a home. So, I decided to open the BJJ Akademie Berlin, which in the last five years, is my favorite place to train. You should all come by! 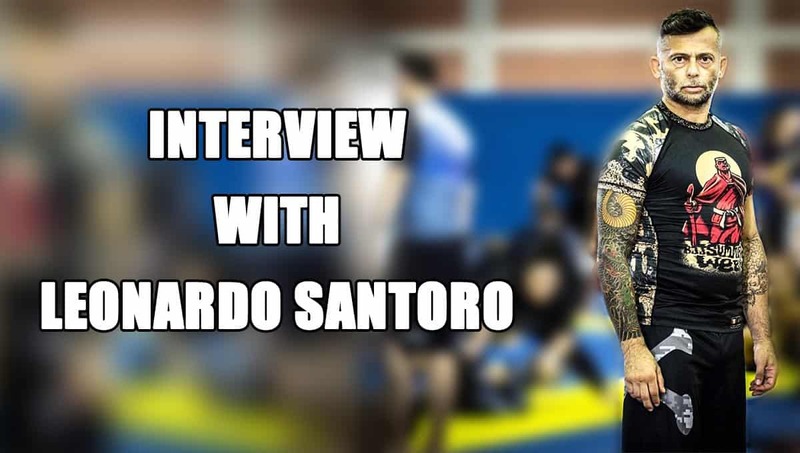 We meet at Sardinia BJJ Summer Week. Can you tell us a bit more about your experience there? We met at Sardinia BJJ Summer Week three years ago. I must say that our Berlin school has a very nice friendship with Area 21 here in Cagliari, Sardinia. We have the same Master Nicholas Brooks and it all started when a member of the academy, Francesca, went to Berlin for an Erasmus year and started to train at our Akademie. From this point on, a good friendship developed and they invited us to come to the first Summer Week and we really enjoyed it. We had an amazing time and of course, came back the second year because it was an even bigger Summer Week. Now, the third year is even bigger and better. Tell us more about your BJJ Akademie in Berlin? How long have you been running the academy? How you are able to maintain the good atmosphere? We opened our doors of the BJJ Akademie in Berlin on 1st May 2013. Every year, it gives us an opportunity to have a barbecue and celebrate the birthday of the Akademie which is now 5 years old. We had some ups and downs, but we’re constantly growing and having a good time training Jiu-Jitsu. We’re affiliated with Brooks’s Mill Hill Jiu-Jitsu like many other people here in Sardinia. We pride ourselves on having a good atmosphere. Most people do not take the competition game and rolling too seriously. They just want to have a one-hour therapy session not thinking about the outside problems. We try not to work too hard, we don’t have MMA where people try to compete who can punch the hardest. So, we’re mostly regular people who just try to do sport and alleviate the stress of everyday life. We have lawyers, doctors, and people from all kinds of professions. We even have a neuroscientist which I find really cool. We try to have fun, not take everything too seriously and try not to step on anybody’s foot. What is your policy about guests? Can people just come and visit your training if they are training under another academy? Berlin is a city that has a lot of tourists and of course, some Jiu-Jitsu people go on vacation and ask if they can drop by the Akademie. I don’t care who you train with. If you train Jiu-Jitsu, you are always welcome at the Akademie. We don’t charge travelers because we believe that no matter whether a white belt or a blue belt, we can learn from anybody just as much as people can learn from us. The more international Jiu-Jitsu interrelations, the better. It’s always amazing when we have visitors and create new friendships. For example, there was a white belt from Moscow who showed me some really nice details on the pass that I was doing. Like I said, we can learn from anybody and I’m sure that everybody that comes to the Akademie can have a laugh and a good time. You are relatively a new black belt. What is the feeling of having black belt? Do you see people changing their attitude against you since you change the color? I received my black belt in April 2017 from Nicholas Brooks. It was a great honor and when I tried to give a speech, the words just wouldn’t come out of my mouth. So, my speech was very short. The feeling is great to have reached this point that you always looked up to and there was always a goal. Actually, when I met Thiago Vella in California, he was a brown belt, and my goal was to be brown belt. When I was a brown belt, I was like wow, now let’s go for black. I don’t think that anything changed. I think that as a brown belt, people already look up to you in a Jiu-Jitsu sense of speaking. I don’t think that people look at you as very different from brown to black. What also didn’t change is the hunger. I feel more motivated than ever to learn more techniques and improve my game. I want to be worth the belt I am wearing. I still roll every day and the fun and motivation are still there and are bigger than ever to keep training and improving. What is your advice for people who train BJJ? Everyone speaks about white belts because they are the most confused ones, can you give some advice for the other colors too? One piece of advice I can give is to keep training no matter what. If you’re a white belt, it feels very hard and you don’t understand anything because it’s so complicated, keep training. It will all eventually make sense. The blue belt would probably think that it takes so long, at purple belt it might get boring as you’re tapping a lot of people and you are hesitating whether to keep training or maybe switch academies. Just keep training because it’s not about how many techniques, but about how long you train and how much mat time you get. Try to have fun with it. Forget about who you tap or get tapped by but make sure you laugh out loud at least once in every roll. Time goes by and you get black belt where everything starts making sense. All the lost tournaments and rolls you did start making sense and you start enjoying again. Can you share a routine that helped you improve your game? Sometimes it’s not about the routine, but I think that you learn the most when you have the best time. It doesn’t have to be a class, but two or three friends together training aside can be the time when you actually think and talk about the techniques. You have fun in such circle of friends. If you can do that on a regular basis, I think the game will improve a lot. I basically train and roll a lot. I run the Akademie so, I roll in the morning and at night 6 or 7 days a week and that improves my game. What you do in your free time, what else you love to do? What does BJJ lifestyle mean to you? What is a free time? 😊 I have none of it! I spend my whole time at the Akademie where I am self-employed. In the summers, I like to go swimming in the lake or to raft. I also like meeting my friends and on Saturdays I sometimes sleep in. A lot of people are talking about the term BJJ lifestyle that many people started to hate it. I think that BJJ lifestyle means not to take things too seriously and balance the life work and play. To have a good time no matter what you do. If you take what you learn on the mat off, that’s the kind of the BJJ lifestyle. It’s not only wearing BJJ T-shirts or going on a Jiu-Jitsu vacation, but it is what happens in your head. So, if you lose your job, you think more about the solution than the problem itself like you do in Jiu-Jitsu. For me, BJJ lifestyle is thinking in Jiu-Jitsu terms of life. Taking what you learn on the mat into the world and live Jiu-Jitsu.